Home / Affiliates Program / Jobs Without Investment / Online Jobs / Promising PTC / PTC Reviews / PTC Sites / Reviews / GrandClick Review : Is GrandClick a Scam or Legit? GrandClick Review : Is GrandClick a Scam or Legit? GrandClick is a Paid to Click website where members can earn money online by viewing advertisements, completing offers, playing the grid game, watching videos, participating in contests or referring others to the site and earn a percentage of their earnings. GrandClick is being promoted on other sites as a new site from the owner of Northclicks and GlobalActionCash. To make things clear, GrandClick is not owned by the owner of those sites. The owner of GrandClick is Mihkel Einaste. He is co-admin (not owner) on NorthClicks and GlobalActionCash and he also owns TheBuxer.com. GrandClick has been paying for over 2 years with no major issues therefore we are moving them to the Legit list. Low Minimum and Fixed Withdrawal – The minimum payout for members who haven’t made any deposits is set to $2.00. For depositors, it is set to $5.00. The minimum payout is fixed and does not increase after each cashout request. Forum – GrandClick does have a forum. In our opinion, a PTC site should have a forum. The forum is a place for communication between members and staff. Members can share their experience on the forum, post their success stories, post payment proofs, get support and stay informed about the recent changes made to the site. Usually, on the forum you can notice the first signs if something is wrong. If members complain about non-payments or payment delays, then most likely the site is experiencing issues. Hybrid Bux Site – GrandClick can be categorized as a hybrid Bux site, although it slightly differs from the classic bux model. For instance, for free members there are 2 self-sponsored ads instead of 4 as on most bux sites. 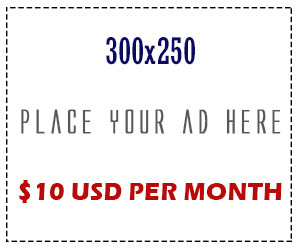 The value of these ads in $0.0025 per click, on pure bux sites usually it’s $0.01. The direct referral limit is low and there are expensive upgrades and there are referrals available for rent. Grandclick is a mixture between PTC and a Bux site. Important thing to know about Bux sites is that they heavily relies on selling expensive upgrades or renting out referrals in order to pay members, and they are displaying self sponsored admin ads. 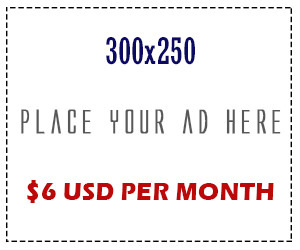 Typically for bux sites, most of them lack of advertising revenue to cover the cost of the self sponsored ads. Be sure to test a bux/hybrid bux site and do your research if you plan to invest money. Even if you decide to invest in a bux site, never invest more than you can afford to lose. So decide carefully. Paypal cashouts – Members must make deposits (min amount $3.00) through Paypal before they can cashout to Paypal. If you haven’t made any deposits then the only available option for cashout is Payza. Pays per Referral Click – 40% from ads value. You need to view at least 4 advertisements each day to earn clicks from your referrals the next day. Paid to Signup Offers – You can earn by completing sign up offers for other sites. Note that Paid-To-Sign-Up’s applicants are eligible for a $0.05 fees per cheat attempt. Offers Walls – Users can complete offers from few Offer Walls networks, including Virool videos, PTCWall and CPAGrip. Users will earn cash or Virtual cents for completing offers and tasks. Points System – You will receive a certain amount of points for different actions you make on the site. You will be able to convert these points to cash in your purchase balance at the rate of $1.00 for 5000 points. Grid Game – They have a grid game which you can play daily. All you need to do is to click anywhere in the grid and an ad will appear, once the ad has been viewed (5 seconds timer), you will be given a notice if you have won or you need to try your luck again. You will get credited as soon as you win and your winning prize will go directly to your account balance. You will be given a number of tries daily which will depend on your membership. Standard members get 40 chances per day. Prize is up to $2.00 per click. Anti-Cheat Ad – There is an anti-cheat ad at the bottom of the view ads page. It is the last ad with that says: “ANTI-CHEAT! DO NOT CLICK!”. If you click the link it will take $0.02 from your account balance, each time you click it. Cashout Options and Conditions – Payments are made through PayPal and Payza. The minimum payout amount for members who haven’t made any deposits is fixed at $2.00. For depositors the minimum is $5.00. Only Paypal depositors can withdraw to Paypal and their account must be verified. Members who have not made a deposit can withdraw to Payza. Payments to members are processed within 7 days. Free members can cash out once every 7 days. You must have a verified Paypal and Payza account in order to receive payment. Inactive Accounts Suspension – If an account has been inactive for more than 30 days, it will be removed. GrandClick is over 2 years old PTC, currently paying without serious issues. Good thing is that the admin already have some experience in managing PTC sites, as he is co-admin (not owner) on Northclicks and GlobalActionCash, both of them legit and paying sites. There are few different earning features on GrandClick, you can give it a try and see how works for you. I would recommend to join and use the site as a free member, test it and see if you get paid before taking into consideration the upgrade options. One drawback of Grandclick is that you must make a deposit in order to withdraw to Paypal, otherwise you can withdraw to Payza. We’ll continue to monitor the development of GrandClick and will update this review when needed.